Yesterday I had the great fortune to run into a Marine that I had the pleasure to work with while I was still on active duty. The young sergeant, who had served honorably and faithfully for eight years and through three wartime deployments, shared with me that despite his overwhelming desire to stay in uniform and continue to serve the nation that he was being forced out of the Marine Corps. Not because of anything he did – in fact just the opposite. He was forced out because he loved what he was doing, but because of his success and the successes of countless thousands of others in uniform the need for so many Marines (and Soldiers and Sailors and Airmen) has diminished. With the end of our active wars overseas comes the end of the need for the large military that had fought them, and with then of the need for so many uniformed military men and women comes the need to shrink the force. That need is why such a talented, motivated, professional, and dedicated Marine NCO is being shown the door. Along with thousands and thousands of professionals just like him. Earlier in the week I attended an event in which LtGen John Toolan, the Commanding General of the 1st Marine Expeditionary Force, shared his personal dilemma in regards to the downsizing of the military. His command, which has been on the absolute tip of the spear in Iraq and Afghanistan (having had elements ranging from platoons to divisions deployed to both theaters), is facing the practical realities of a contracting military. He had over 4000 re-enlistment requests sitting on his desk (not really sitting there, but awaiting action from his headquarters) from Marines who want to continue to serve. He only had the authority to approve 400 of them. The effect of the reduction in forces is that one in ten Marines who want to stay in and continue to serve are able to do so. The other nine are headed out the door to a future that does not include the career that they had anticipated. Those nine are headed back into the society they served, and they will all need jobs once they arrive. Josef Stalin once said that one death is a tragedy and one million is a statistic. In the context of a career that is cut short by a shrinking military his words are strikingly relevant nearly a century after he uttered them. 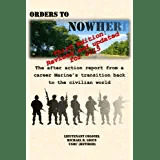 One serviceman or servicewoman whose career is ended because of the vicissitudes of DOD force structure is indeed a tragedy because of the unfulfilled future to which they had dedicated their lives, but the tens of thousands who are being pushed out the door are just a statistic. Edmund Burke also observed that the only thing necessary for the triumph of evil is for good men to do nothing. If those of us who inhabit the society in which those in uniform will return simply look at the statistics and shrug them off, then we are guilty of failing each and every new veteran and allowing the evil of unemployment and underemployment to befall those who have ensured that our society remains free and unfettered by the shackles of tyranny. So ask yourself: is the drawdown a cascade of individual tragedies that we can collectively help avert or a statistic that we will collectively ignore, or is there something we can do to make sure that the careers that they were not fulfilled in uniform can be created once they hang up the cloth of the nation? The chairman of the Joint Chiefs of Staff announced this past weekend that the service chiefs have agreed to a plan that would reign in the unprecedented expansion in servicemember’s benefits. Not particularly surprising, really. As the wars come to an end the enticements that have been used to recruit and retain an all volunteer force become less affordable than they were before. During the Global War on Terror, millions of young men and women entered the armed forces, and a great many of them deployed overseas to fight for the nation. The goodwill that the nation felt towards the military, coupled with the real need for expansion, resulted in tremendous growth in terms of pay and benefits for those in uniform. Countless millions of dollars have been spent on education, health, housing, and other benefits that were either not in existence before the wars began or grew exponentially in scope and cost. The chairman also pointed out the cost in real terms. The DOD spends approximately half of its annual budget on personnel, and if things continue on as projected the cost will grow another ten percent. It is untenable for the military to function with 60 cents from every dollar spent on the people who make up the military. The good news, though, is that the current retirement plan will not be affected. At least not for people in uniform currently that is. It may very well change in the future, but it is for the moment safe from the budgetman’s axe. At any rate, the “peace dividend” of the end of our wars in Iraq and Afghanistan will come at the expense of the Department of Defense. It seems like the Joint Chiefs have finally realized the incontrovertable truth that with the end of war comes the lack of desire to pay for the military that fought it. It is not a bad thing that the military retracts when there are no wars to fight, but the retraction must be thoughtfully done. I just hope that those who make such decisions ensure that the military is ready for the next war. And there is always another war. Here is my latest column in the North County Times. 2014 is just around the corner, and that year will mark the end of our commitment to the war in Afghanistan. Coupled with the end of the war in Iraq, 2014 will see the first time since the dawn of the 21st Century that we have been a nation at peace. All wars come to an end, and our current foray into Afghanistan is no different. Last year saw the departure of American forces from Iraq, and 2014 is the year when combat operations are to be handed over to the Afghan National Army. This places the military and government in the ironic situation —- with the successful completion of the conflicts overseas, the very people who made it happen find themselves beneath the budgetman’s axe. Is that fair? Historically, the size of the military has always shrunk after a war ends; indeed, it is perfectly normal. Our professional military system requires that the active and reserve components be ready to fight and defend the nation at the drop of a hat. The size of the military was more than adequate for Operation Desert Storm in the early 1990s and the initial operations in Afghanistan and Iraq. Counterinsurgency, however, changed the game. Desert Storm and the early campaigns in the war on terror were based on destroying a cohesive, centralized and organized enemy. The doctrine of the U.S. armed forces is to overwhelm the foe with an onslaught of combat power that they cannot react to to counter the assault; it took only days to liberate Kuwait and a matter of weeks for the high-tempo combat operations in Iraq and Afghanistan to shatter Saddam’s forces and the organized Taliban. What followed, though, was a path to a Vietnamesque guerrilla war. Instead of being able to employ the technical and tactical advantages that are the hallmark of American “shock and awe,” we faced an enemy who changed his tactics to those of the insurgent. Instead of slugging it out toe to toe, they embraced the booby-traps of the Vietnam War and created the improvised explosive devices used in Iraq and Afghanistan. Counterinsurgency is a manpower-intensive way of war that has not fundamentally changed since Hannibal crossed the Alps over 2,000 ago —- you need lots of boots on the ground with the dedication and grit to fight the enemy on his own terms, and as a result the Army and Marine Corps grew in size. With the war’s end and the current financial crisis it is necessary to look critically at the military establishment and prepare it for the challenges ahead. The president has begun the process by focusing on the Pacific Rim as that part of the world becomes more and more strategically significant. What tools are needed there? What skills must our military employ? How can the nation best employ its military resources? Those are the questions that face the Pentagon as it looks into the future. The military is often accused of being prepared the fight the last war —- and to ensure that it is ready for the next one, a significant change in momentum is necessary. It is time to get the military back into being the world’s premier agile fighting force that is prepared to fight across the spectrum of conflict; we should remember the lessons learned fighting against insurgents, but not be hampered by devoting resources to capabilities in that area that are no longer needed —- including the number of people in uniform. It is a harsh reality to face, but it is not unprecedented. Our best hope for a strong America is having a military that is prepared to meet any challenge, and in order to do so we need to refocus and rebalance our military. A significant part of that rebalancing is a thoughtful reduction in troops. It is fair to expect that the military will shrink after a decade of war, but that reduction must be made with studious attention and not made haphazardly. It’s not personal. It’s just business, but a business that the Pentagon simply must get right. We will always be thankful for the sacrifice of those who have served in Iraq and Afghanistan. Now it is time to prepare for the future and ensure that the American military, although a bit smaller in size, remains second to none.